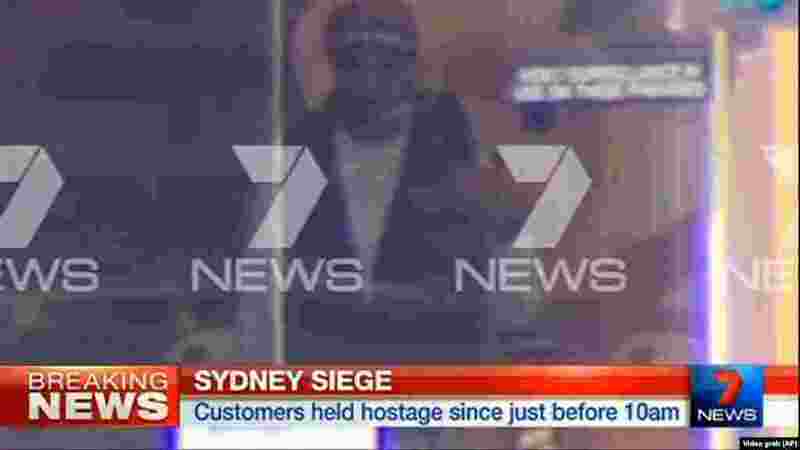 A gunman took an unknown number of people hostage inside a downtown Sydney chocolate shop and cafe at the height of Monday morning rush hour, with two people inside the cafe seen holding up a flag believed to contain an Islamic declaration of faith. 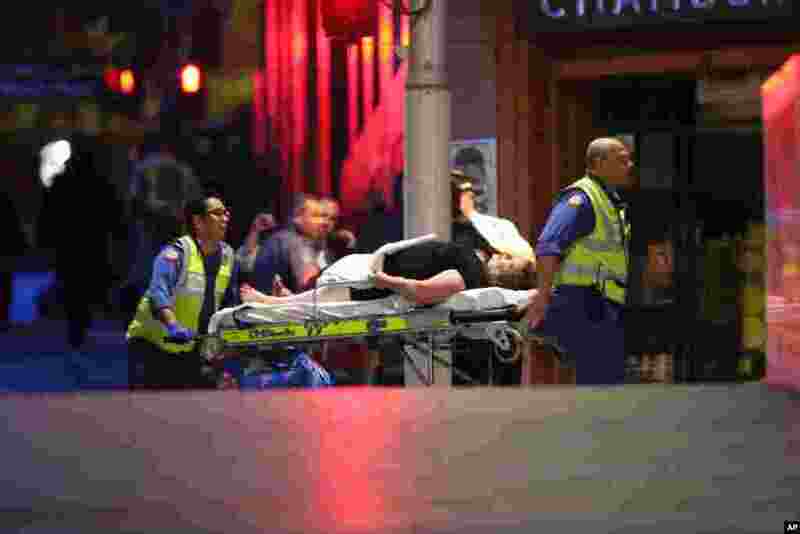 1 A injured hostage is wheeled to an ambulance after shots were fired during a cafe siege at Martin Place in the central business district of Sydney, Dec. 16, 2014. 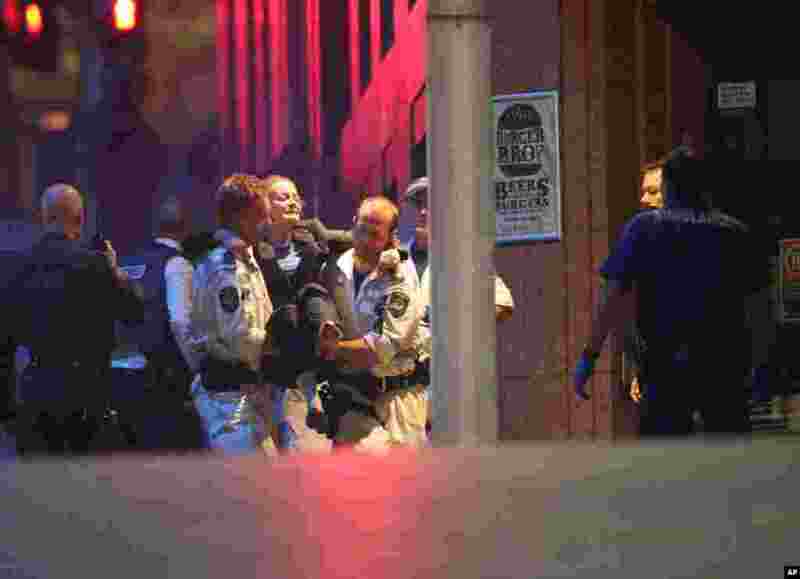 2 A injured hostage is carried to an ambulance after shots were fired during a cafe siege at Martin Place in the central business district of Sydney, Dec. 16, 2014. 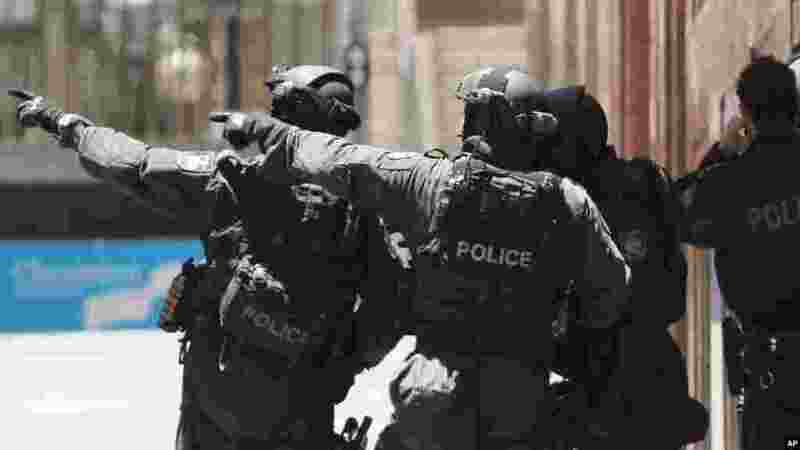 3 Hostages run towards armed tactical response police as they run to freedom from a cafe under siege at Martin Place in the central business district of Sydney, Australia, Dec. 16, 2014. 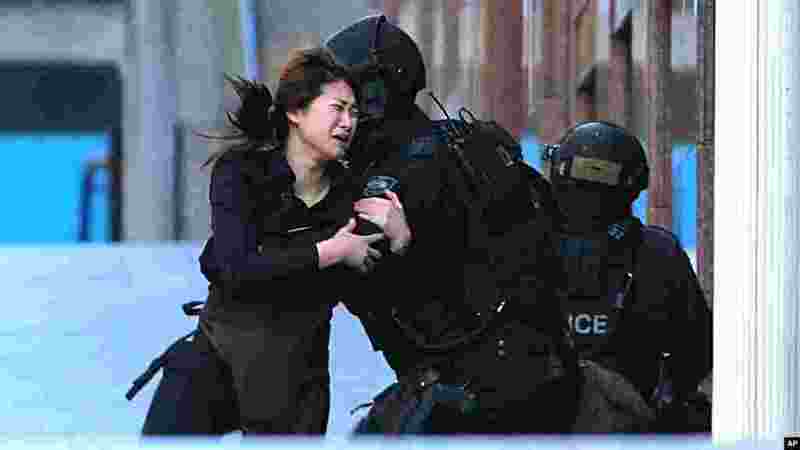 4 A hostage runs to armed tactical response police officers for safety after she escaped from a cafe under siege at Martin Place in the central business district of Sydney, Australia, Monday, Dec. 15, 2014. 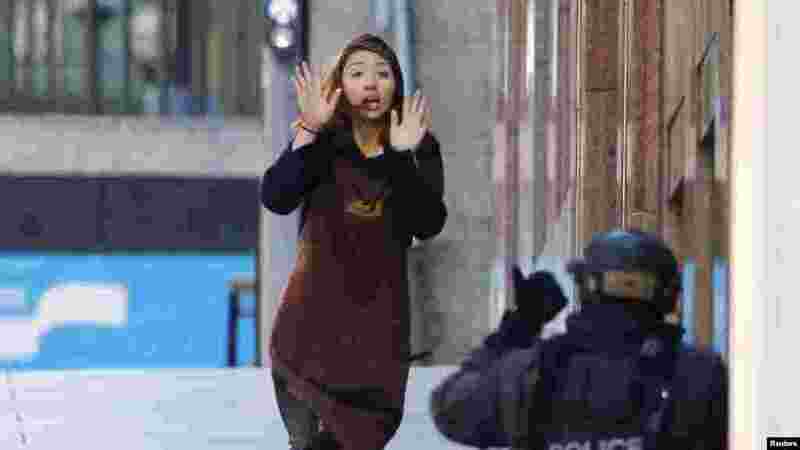 5 A hostage runs toward a police officer outside Lindt cafe, where other hostages are being held, in Martin Place in central Sydney, Australia, Dec. 15, 2014. 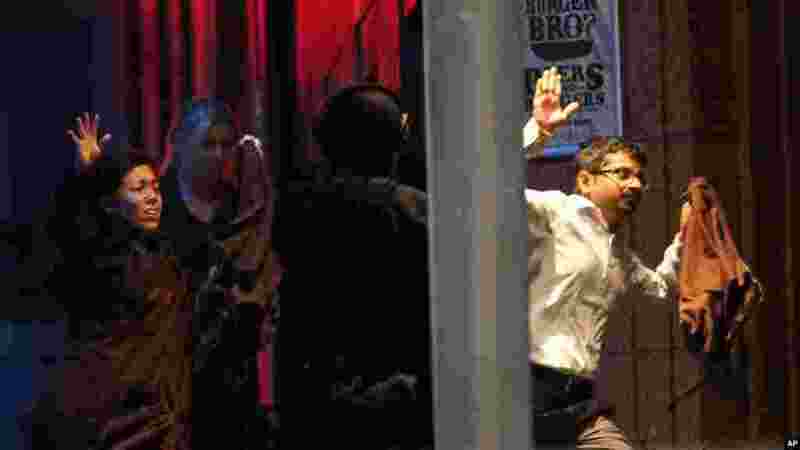 6 This image taken from video shows a man believed to be a gunman inside a cafe in Sydney, Australia, Dec. 15, 2014. 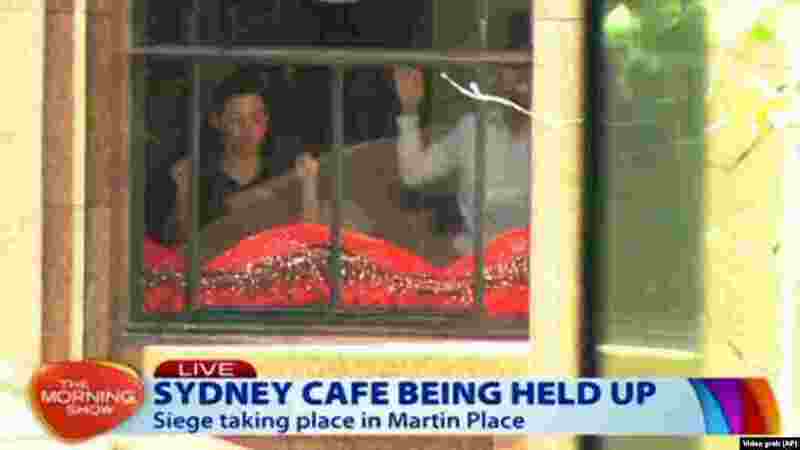 7 This image taken from video shows people holding up hands inside a cafe in Sydney, Australia, Dec. 15, 2014. 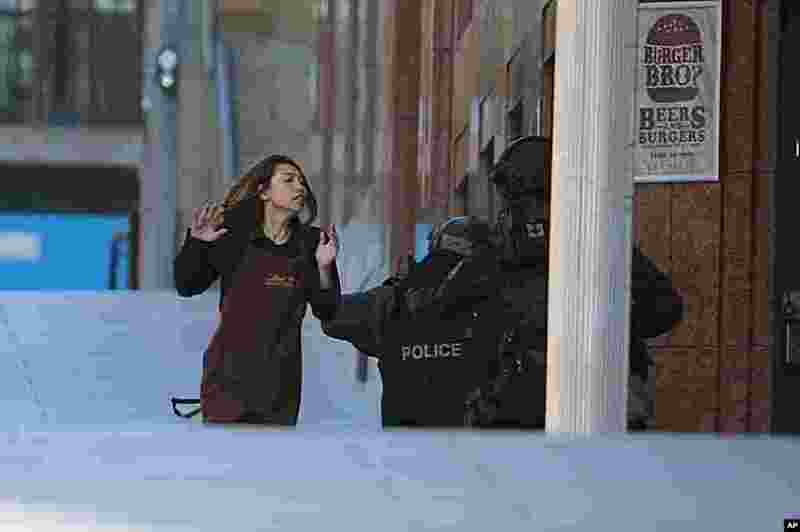 8 An armed tactical response police officer grabs a hostage as she flees from a cafe under siege at Martin Place in the central business district of Sydney, Australia, Dec. 15, 2014. 9 Armed police officers point as they stand at the ready close to a cafe under siege at Martin Place in Sydney, Australia, Dec. 15, 2014. 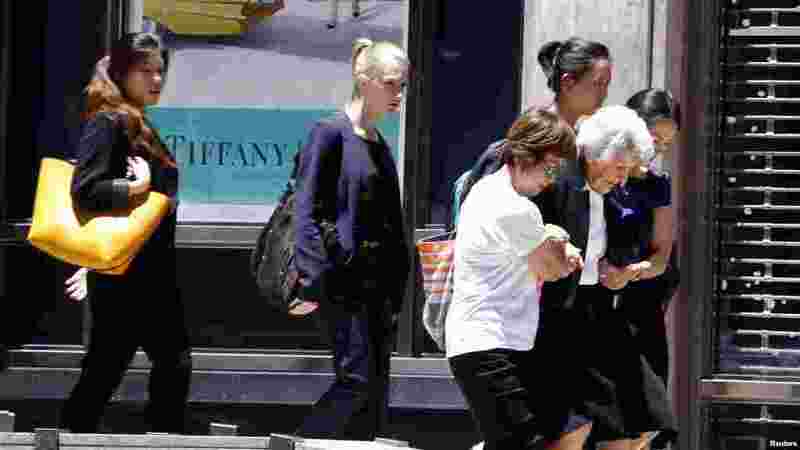 10 A woman is assisted as a group of people are evacuated by police from a building next to Lindt cafe in Martin Place, where hostages are being held, in central Sydney, Australia, Dec. 15, 2014.